A song heard from the Chelsea faithful during any given match, an eternal celebration of Wise’s memorable equaliser against A.C. Milan in Chelsea’s 1999-2000 debut Champions League campaign – one of the club’s greatest European nights. The Chelsea squad of the late 1990s – early 2000s has long been my favourite. True, they did not have the gilded glory of the sides of the last decade, or the continuous success we have since grown to expect. But it was an up-and-coming Chelsea team infused with international flair and panache, which ultimately collected a fair few trophies along the way. There is one man infinitely associated with Chelsea of the nineties. 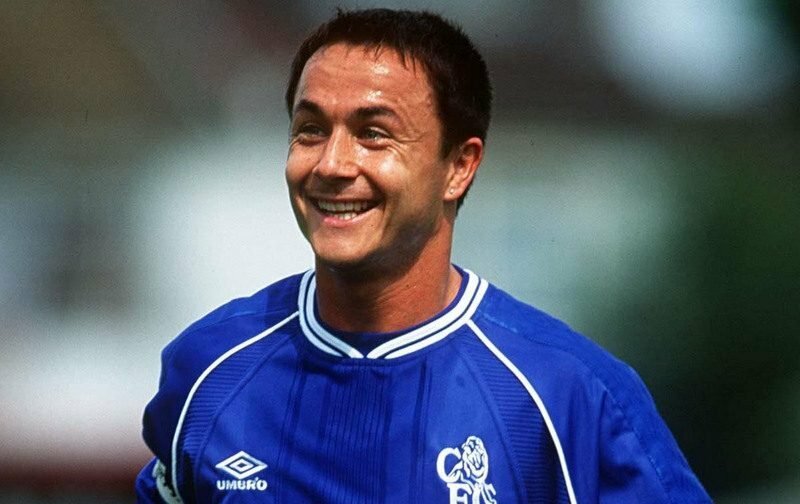 Dennis Wise was signed by manager Bobby Campbell on July 3, 1990, for a club-record fee of £1.6m. Originally a wide man, Wise was soon converted to a central midfielder, his tough tackling and combative nature making him ideal for the role. You might say it was his notoriously aggressive character and highly competitive style of play that made the Kensington native an immediate crowd favourite in SW6. Photo: Mark Leech / Offside. Born 16 December 1966, Wise enjoyed a career that spanned over 20 years, eleven of which were spent at Chelsea. The joint fifth highest appearance-maker in Chelsea history, Wise scored 76 goals in 445 appearances, though it could have been 500 had he not been forced to miss several matches through disciplinary-related suspensions (in 1998/99, Wise missed no fewer than 15 games). Wise was at the helm during the time Chelsea began to gain momentum and prominence, becoming genuine contenders on both domestic and European fronts. In his time at Stamford Bridge, Wise won two FA Cups, a League Cup and a UEFA Cup Winners’ Cup, and is now the club’s second most successful captain after John Terry. Wise led Chelsea to their first FA Cup final in 24 years, (unfortunately a 4–0 defeat to Manchester United), and eventually to FA Cup victory in May 1997, becoming the first Chelsea captain to lift a major trophy at Wembley as the Blues defeated Middlesbrough, inspiring another Wise-themed chant (‘when Wise, went up, to lift the FA Cup…’) and sparking a renaissance for the club. Wise also guided Chelsea to victory in the 1997-98 League Cup, another 2–0 win against Middlesbrough, and to victory over Real Madrid in the 1998 UEFA Super Cup. 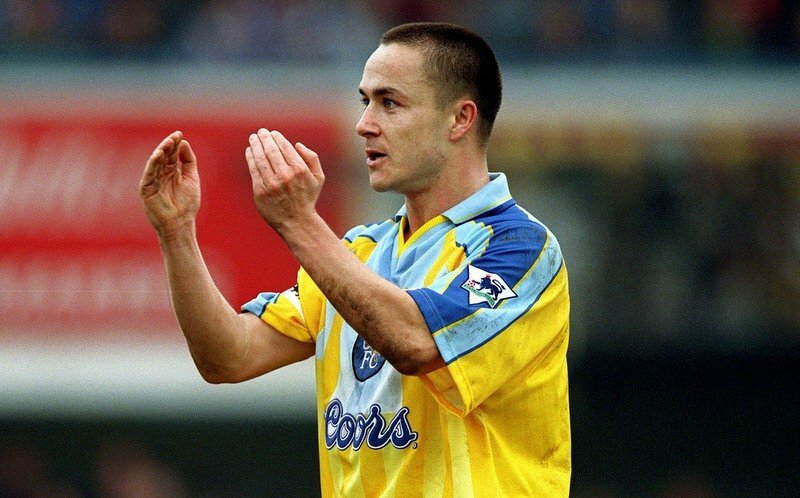 It is, however, his last-gasp equaliser in a 3-3 draw at Highbury in 1996 that many believe is the moment that truly cemented Wisey’s legend status at the club. Wise’s leadership qualities – and sense of humour – became most apparent in making sure that there were no divisions within the dressing room as the arrival of manager Ruud Gullit was accompanied by an influx of international talent. Dennis took the new imports under his wing, charming them with his wit and wisdom, and helping them, er, improve their grasp of the English language. Gianluca Vialli’s sacking and the appointment of Claudio Ranieri signalled the end of Wise’s Chelsea career, as the new boss was tasked with lowering the age of the squad. Despite being the top appearance-maker that season, Wise was often played out of position, and it was common knowledge that he and Ranieri did not see eye-to-eye. After Dennis left for Leicester, the home fixture against the Foxes sold out in days. Wise’s return to the Bridge was met with a hero’s welcome from the fans and a tearful presentation from chairman Ken Bates, with whom Wise had a close relationship. A self-proclaimed ‘Ken Bates man,’ Wise attested that they were ‘similar people in many ways’. Dennis was forever grateful for what Bates had done for Chelsea, and felt that Bates had looked after him personally (corroborated somewhat by Bates later naming Wise manager of Leeds). Wise backed him resolutely, including in his feud with Matthew Harding. Given the fractious relationship many fans had with the temperamental owner, and the adoration and respect they felt towards Matthew Harding, this did not sit well. However, Wise remains much-loved and idolised by Chelsea fans, and we are indebted to him for the success he helped bring the club. Shoot! 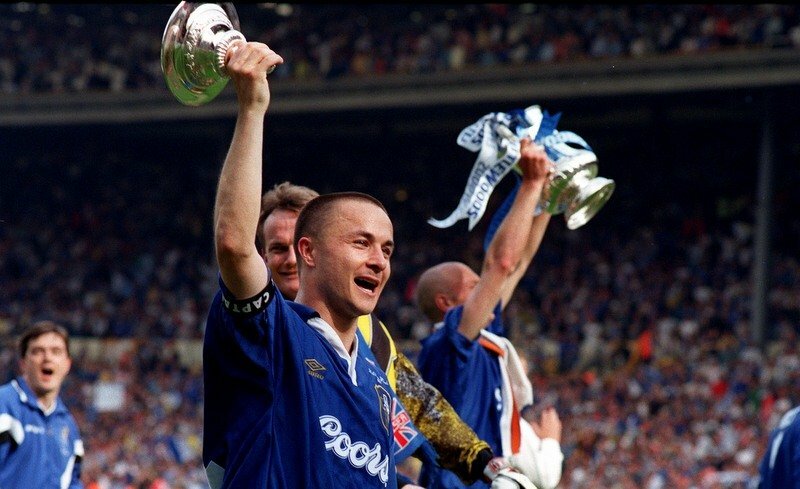 would like to wish Wise many happy returns as the former Blue celebrates his 50th birthday today!